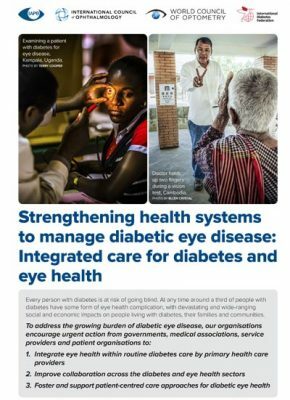 Download global statement on diabetes and eye health: Strengthening health systems to manage diabetic eye disease: Integrated care for diabetes and eye health. Dong-sheng Wang was once a truck driver in Inner Mongolia, China, earning more than RMB6000 (USD 900) each month. But after he began to lose his sight due to diabetic retinopathy, everything began to change. Dong-sheng lost his job and now works as a security guard at a school where he earns just one-third of what he used to. He is worried that he might eventually lose this job as well. He has to support a family of 5, including his wife and Yue-qing, his daughter, as well as his mother and grandmother who live 300 km away from them. 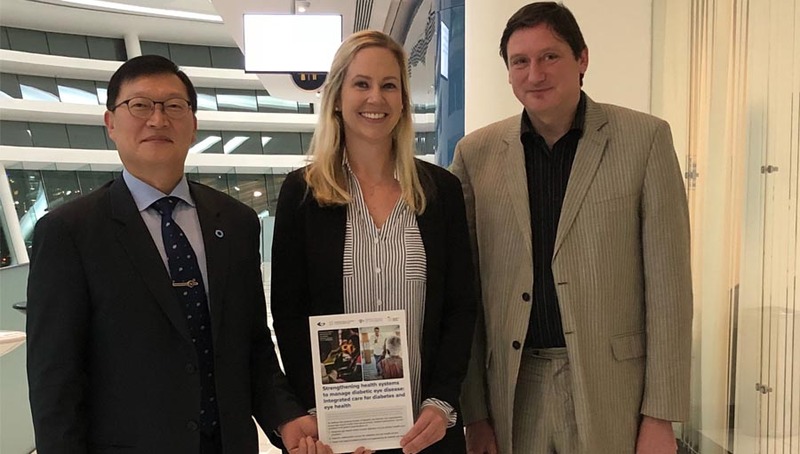 Dong-sheng’s story was shared at the 2017 International Diabetes Federation Congress in Abu Dhabi, with speakers from the diabetes, ageing and the eye health sectors, advocating for collaborative action to address diabetic eye disease. Every person with diabetes is at risk of going blind. 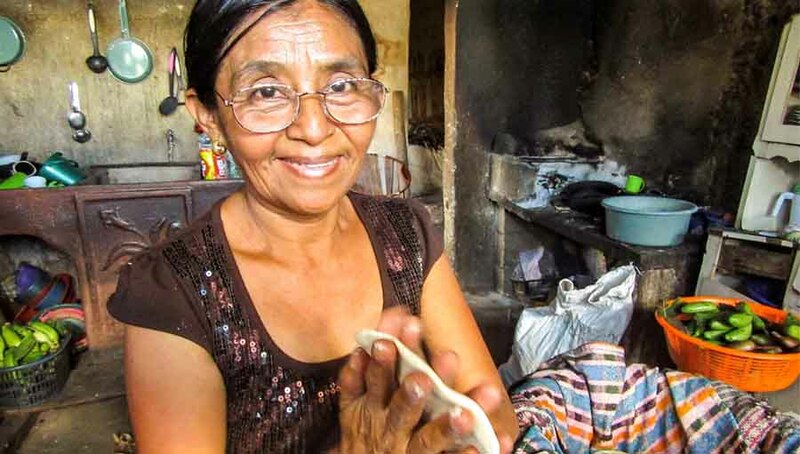 Around a third of people with diabetes develop some form of eye health complication, which if left untreated can have devastating and wide ranging social and economic impacts on them, their families and communities. 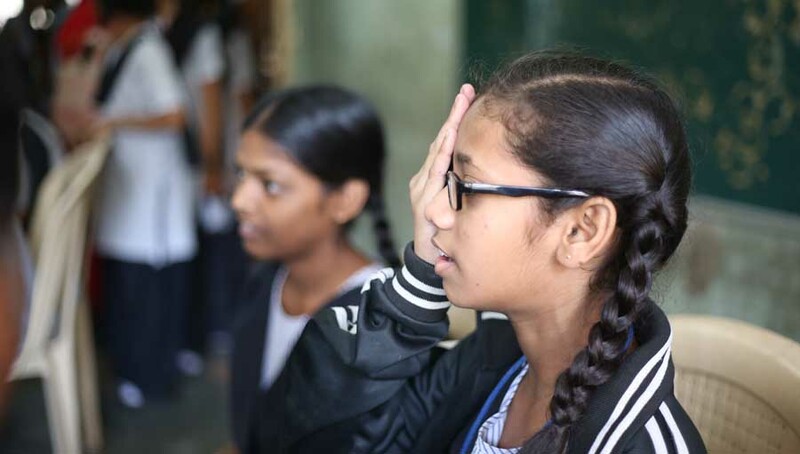 With rates of diabetes growing sharply across the world, in both developed and developing environments, rates of diabetic eye disease are expected to increase, unless urgent action is taken to stem this rising tide. 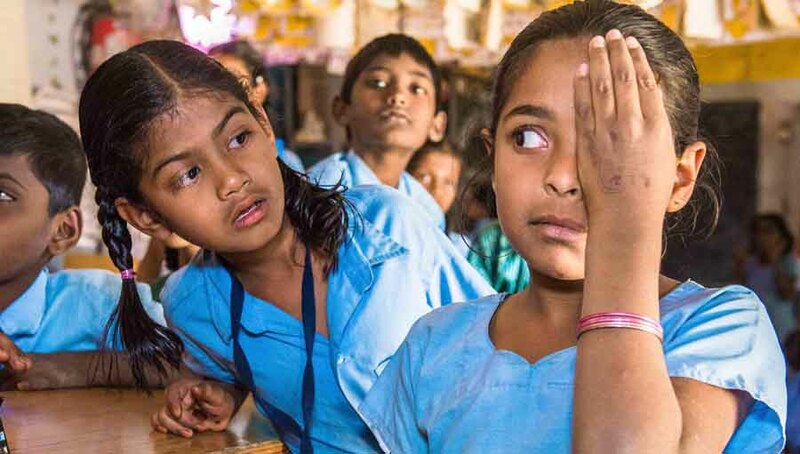 The good news is that almost all vision impairment and blindness from diabetic eye disease can be prevented through effective diabetes management, early detection of eye problems through regular eye exams, and timely treatment. But the magnitude of the challenge means we need to move beyond traditional pathways where diagnosis and treatment is undertaken exclusively by the eye health sector and by eye health specialists. 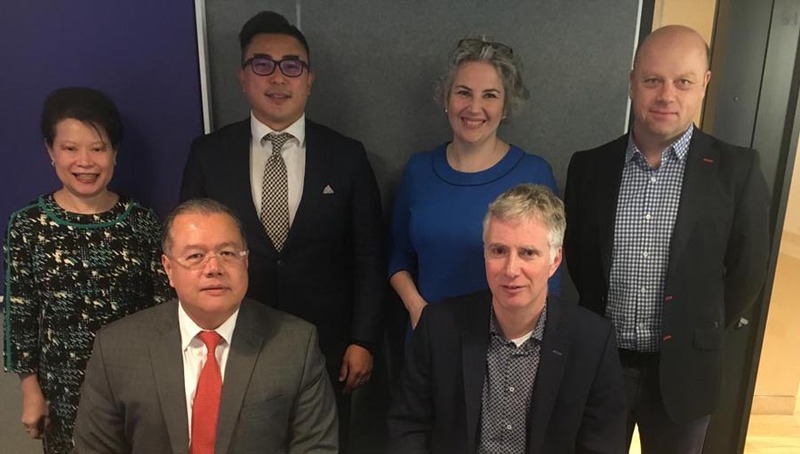 In recent years, many eye health and diabetes organisations and practitioners have advocated for an integrated approach to diabetes and eye health. This is based on the idea that eye health should become a part of routine care for people with diabetes. Because of both demand (low awareness of diabetic eye disease among people with diabetes) and supply challenges (limited access of many people with diabetes to specialist eye care because of geography, cost or both) in ensuring provision of sight saving services for people with diabetes, it makes sense to support appropriately trained primary health or diabetes care professionals to play a more active role in educating at risk patients on diabetic eye health, and to provide or facilitate essential regular eye examinations. As primary health and diabetes professionals are often the first point of contact in the care continuum for people with diabetes, they are best placed to inform patients about the risks of diabetic eye disease. Appropriately trained primary health or diabetes care professionals should play a more active role in educating at risk patients on diabetic eye health, and to provide or facilitate essential regular eye examinations. This approach also requires better collaboration between health professionals at multiple levels, from primary care to specialist eye health, to ensure that people with diabetic eye disease or vision complications are properly guided through a referral pathway to access the specialist eye services they need for timely treatment and follow up. People with diabetes themselves have to be at the centre of any effective approach to diabetic eye health. We know that the extent to which a patient they see diabetes as a problem and a risk, whether they see available healthcare services as acceptable, and the perceived benefits of treatment are all critical determinants in effective early detection, treatment and management of diabetic complications. Hence, health strategies need to be set up in a way that starts from the perspective and the needs of a person diagnosed with diabetes. We call on you to circulate this statement widely to practitioners, policy and law makers throughout the world where your organisation is working, to ensure that increasingly integrated and people-centred systems are put in place, so that all people with diabetes – like Dong-sheng – have access to good quality diabetic eye care. Co-author: Johannes Trimmel, Former Director of Advocacy, IAPB. Dong-sheng Wang’s photo courtesy The Fred Hollows Foundation.